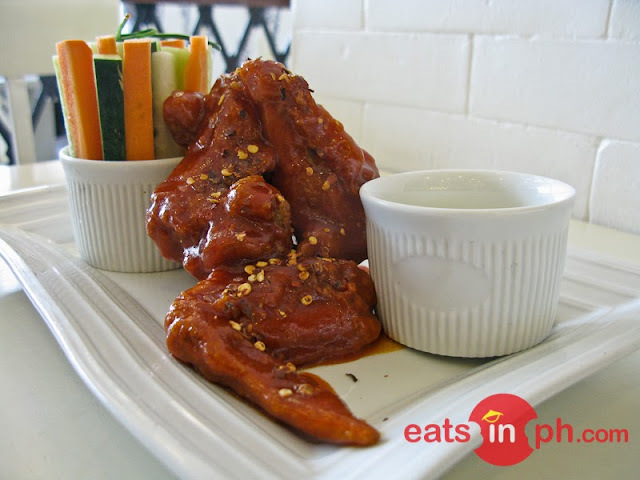 Crispy, tender and flavorful chicken wings. The vegetable crudités on the side are perfectly crunchy and the blue cheese dip complements the whole dish. This is best eaten with your hands.